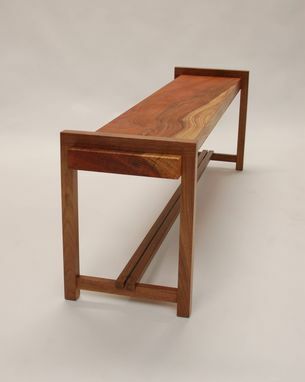 This simple piece is a great addition to any entryway or living space. 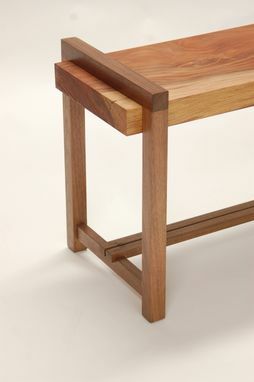 The beautiful grain of reclaimed redwood is celebrated by showing the contrasting colors of its sapwood and heartwood. 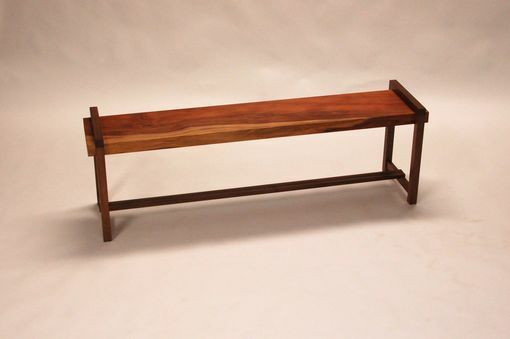 The bench is accented with walnut legs that frame this beautiful piece of wood. A balance between modern and rustic styles is achieved with this elegant design.